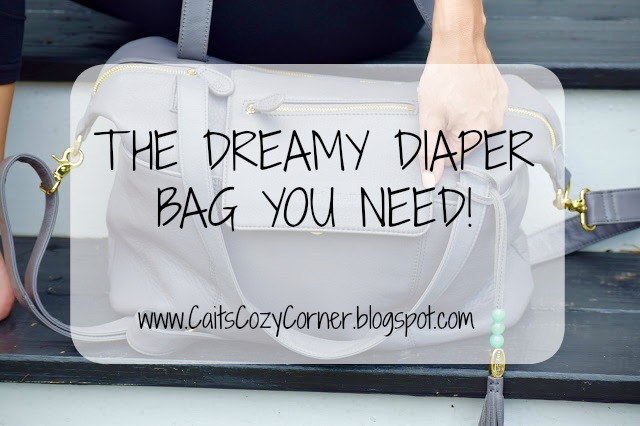 Cait's Cozy Corner : The Dreamy Diaper Bag You Need! The Dreamy Diaper Bag You Need! Disclosure: I received a Lily Jade Madeline bag in order to conduct this review/showcase. All opinions are my own. 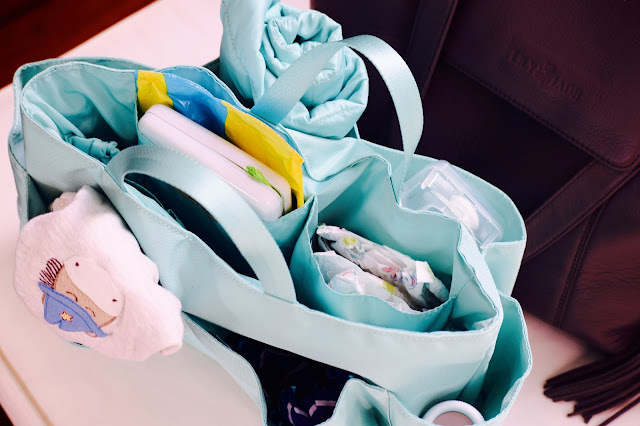 After having two kids, I thought I had the perfect diaper bag. I just needed something to stow away all my items but I never realized how MUCH I had and even more so with a second child. 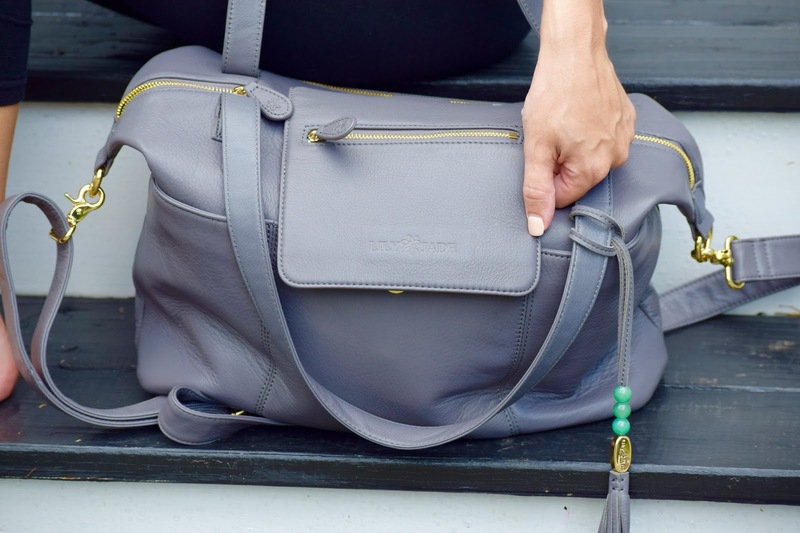 Want to know the dreamiest diaper bag out there? 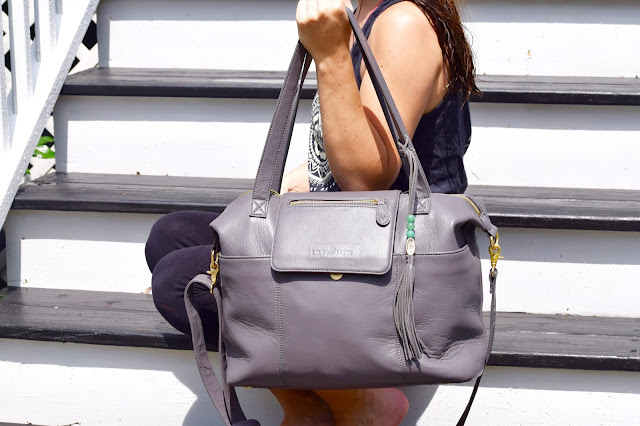 I found it; the Lily and Jade co diaper bag . This Madeline Grey bag can be styled as a backpack-style, a tote or a crossbody. I love that no matter how you want to carry or wear your bag, you can in a snap! For the tote, you ust simple carry it on your shoulder using the tote straps. It's great for the length because at 5'2, sometimes the bags can be longer than I want but this hits me perfect. As for the crossbody, it has a longer strap so you can attach it and adjust it to your tailored length. The backpack is a great feature a well. All you do is slip the long strap through the loop on the back of the bag and clip the ends of the strap at the bottom! Viola! Now at first I wasn't sure if I was ever going to use the backpack option but if you've ever tried to wrangle kids, load your car or carry other bags while also trying to keep your diaper bag from sliding off your shoulder or knocking into your newborn, you'll really appreciate this feature. I wasn't sure but the more I used it as a backpack, the more I didn't really want to use it for anything else! If you’re not familiar with Lily Jade bags, then you may not know about their most awesome feature. 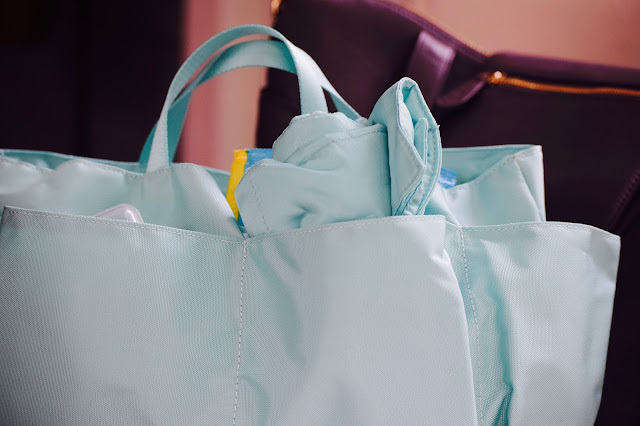 The “baby bag” portion of Lily Jade bags snaps in and is completely removable (and machine washable) so that your bag can function as a diaper bag for now, and as a normal purse later. I really love that if I spill something inside the baby bag, I can just pop it in the washing machine (gentle cycle) and call it a day! The spacious baby bag matches the inside of Madeline, which is a turquoise blue and such a great pop of color against the grey. 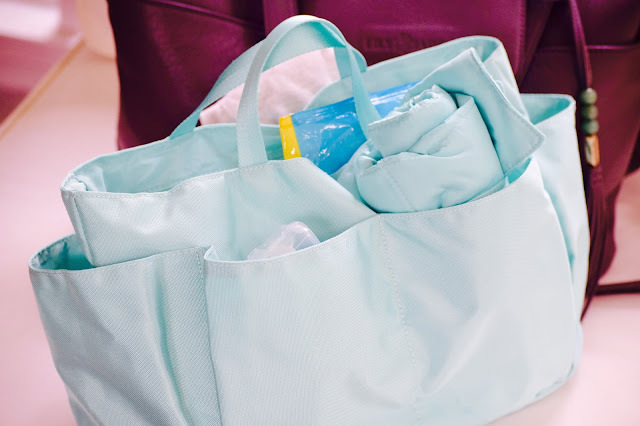 There are countless pockets of varying sizes so that you can organize your bag in an enviable way. It even comes with a padded changing pad (which I’ve already used several times!). I love how multi-functional this bag is! If you know someone whose going to be a new Mom or wanting one for yourself, you need to get this dreamy diaper bag! You won't use any other bag more than this beauty right here.